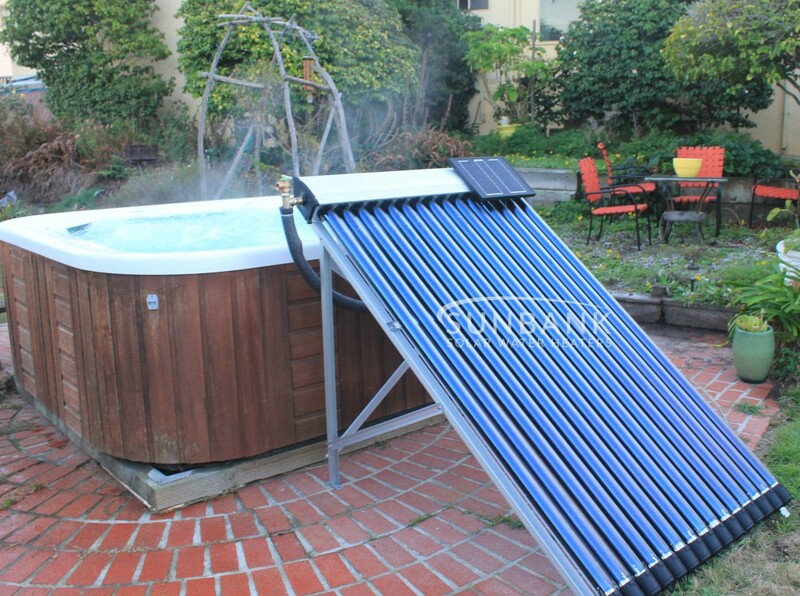 An alternative to heating your spa with only electricity, the Sunbank Solar hot tub heater kit is a closed loop heating kit that offsets electricity consumption by putting solar heat into your hot tub. 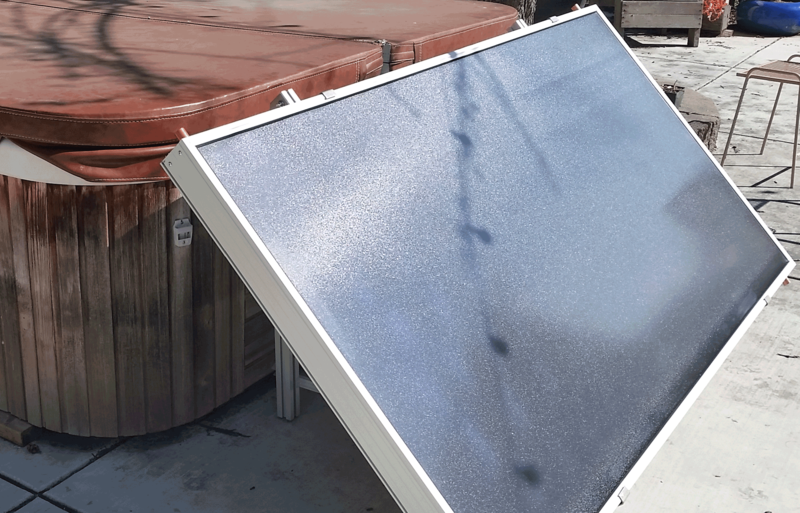 The kit comes with an SRCC certified glazed flat plate solar collector, heat exchanger, and the components of a solar controlled pump station complete with solar photovoltaic (PV) panel. You provide piping and fittings as those are custom for each project. Comes with installation instructions. Assembly required. 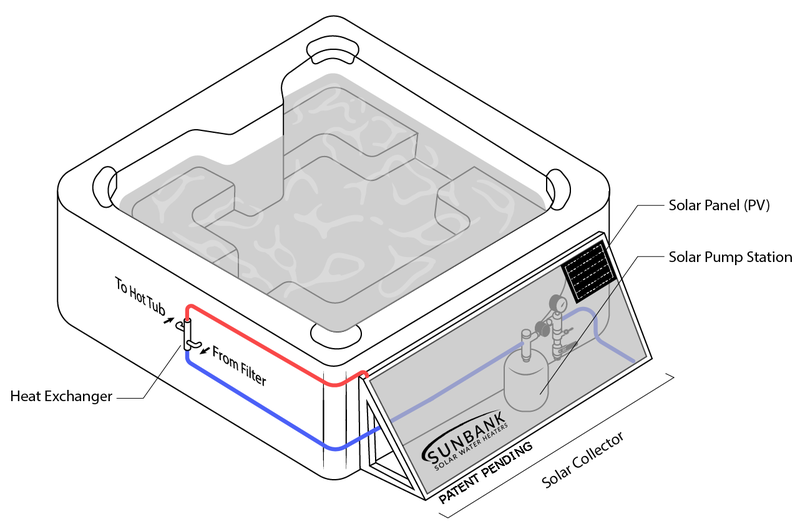 The kit works with already functioning hot tubs or off grid soaking tubs. The solar kit adds heat to your tub during the day while the sun is shining and the electric element kicks in whenever the temperature falls below the thermostat setting at night or on cloudy days. 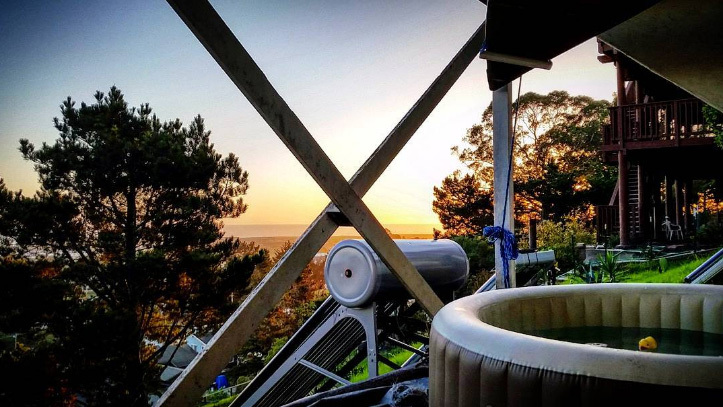 The solar hot tub kit puts in 25,000 BTU or 7kWh equivalent of heat on a sunny day. That’s roughly as much as a 2KW solar photovoltaic system that costs ~$10,000 installed. 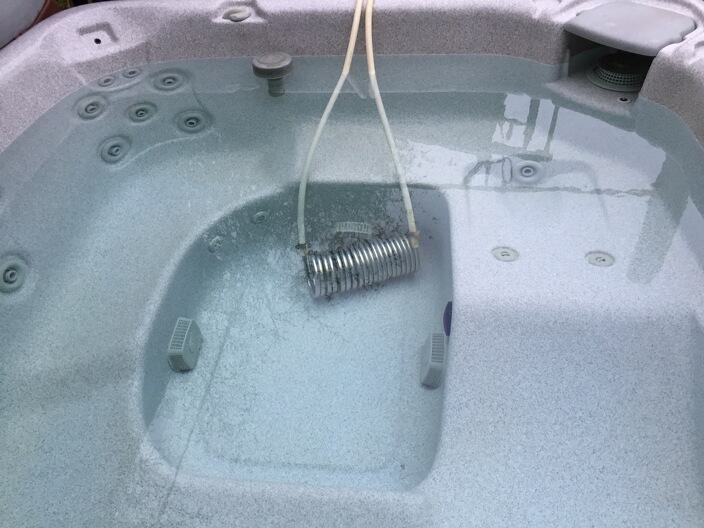 The kit will put in heat whenever it is available, which means having a hot tub that is slightly hotter than usual or lowering your thermostat (or using a time) to allow for solar heat input. If you want any of the optional components send an email to info@thesunbank.com requesting a custom invoice.